Working with TSW, MidTown Columbus established a long-term vision for revitalization within the Wynnton Road corridor and surrounding neighborhoods as part of their 2005 Master Plan. Key recommendations included strategic pedestrian and vehicular transportation investments as well as zoning modifications intended to spur historically compatible private-sector redevelopment. This $1.2 million streetscape project implements the first phase, which is one of the key recommendations of the MidTown Master Plan by improving pedestrian, vehicular, and transit facilities along Wynnton Road in the heart of the Wynnton Village historic district. In doing so, the project supports the continued revitalization of MidTown, improves safety for pedestrians and drivers, provides an improved safe route to Wynnton Elementary School, and supports community desires for the corridor. Pedestrian facilities are planned along both sides of Wynnton Road from approximately Peacock Avenue to the west, to Hamilton Avenue to the east, including the area adjacent to the Wynnton Elementary School. The plan proposes establishing a typical six foot wide landscape strip adjacent to the curb, and a six foot wide sidewalk beyond it within existing right-of-way. 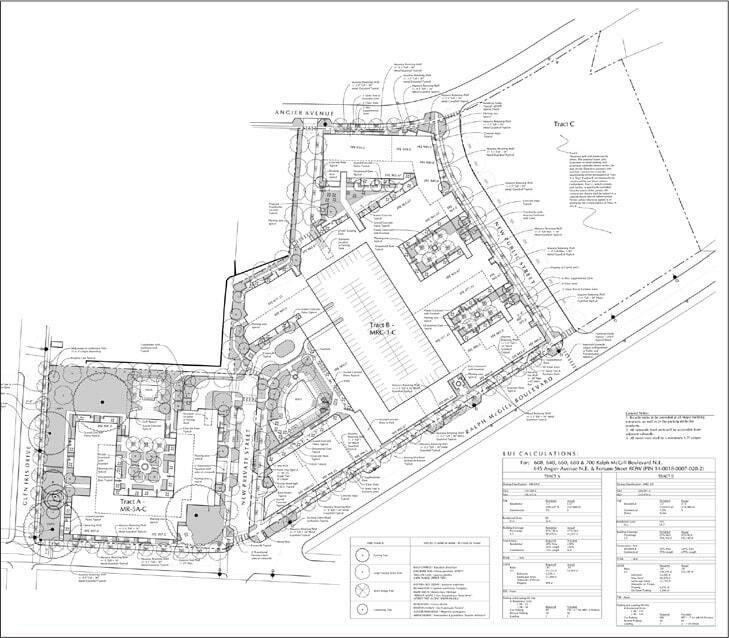 Where space is not sufficient due to the presence of deceleration lanes, fixed objects, or other constraints, the plan anticipates a voluntary easement from adjacent property owners for said facilities. Where this cannot be achieved, dimensions will be reduced to fit in the existing right-of-way. Within the typical six foot wide landscape strip, street trees and street lights are proposed. 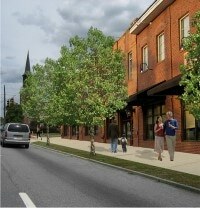 The exact species and placement will be approved by the Georgia DOT, but it is hoped that the agency will utilize the flexibility provided by the State’s Pedestrian and Streetscape Guide, as well as other precedents for Context Sensitive Design from other parts of the State. The corridor currently lacks ramps at several intersections. This project calls for ADA-accessible facilities throughout the corridor along with high visibility crosswalks to improve ease of use for pedestrians. Lastly, the plan anticipates replacing an existing painted median between Cedar Avenue and Forest Avenue with a planted median. The median averages five feet in width and planted with crape myrtle. Maintenance for the median will be the responsibility of the local sponsor. Other options to install small medians in existing painted areas may also be achieved at Wildwood Avenue and west of Hamilton Avenue.